We had great nights in our student ministry this week. This past weekend we had our Collide Retreat so there was good momentum coming off that which carried into our mid-week nights. Below are the details on what we did. Upfront Game: BFF Showdown Round 2. A great game from Download Youth Ministry. We played the “round 1” version of the game earlier this year. You bring a few pairs of “BFF’s” on stage and they have to answer questions about each other. Group Game: We didn’t really do a group game and normally don’t at Porch (we stick to mostly upfront games in our high school ministry) but we did kick off a NCAA March Madness Bracket Challenge. We gave students 15 minutes to fill out a bracket and will give the winner a prize pack in a few weeks. Worship Set List: Let it Be Known (Worship Central), This Grace (Kristian Stanfill), Raised to Life (Elevation Worship), and Always (Kristian Stanfill). 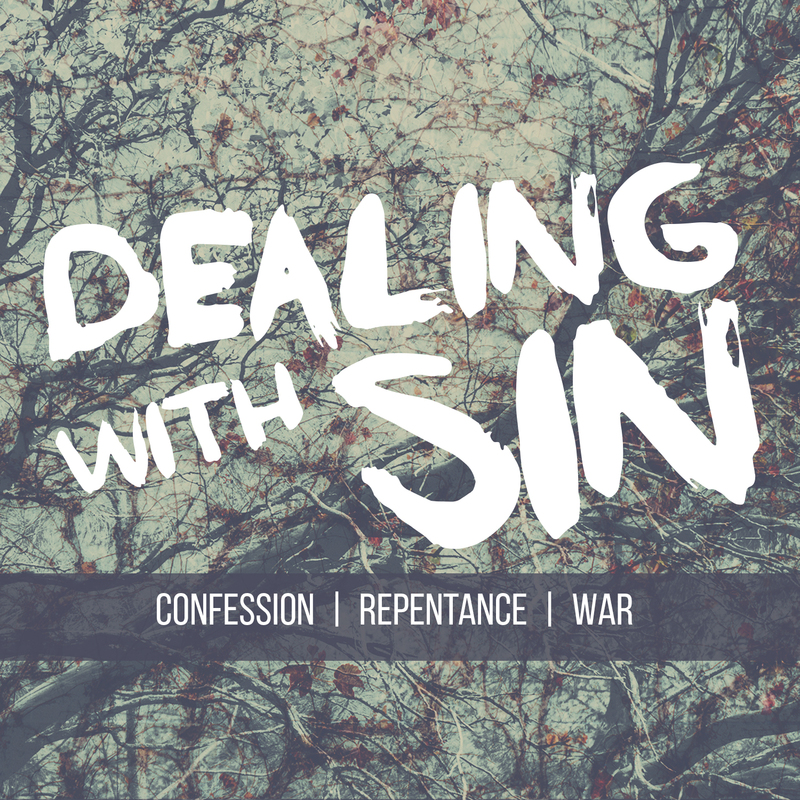 Teaching: We finished our “Dealing with Sin” series by talking about making war with our sin. We talked about the command to put sin to death (Colossians 3:5), how we put sin to death (Romans 8:13), and what Jesus says about cutting sin out of our lives (Matthew 5:29-30). Click here to listen to the message. Highlight: Talking about the topic of making war with and killing sin. It’s one of my favorite topics to talk about and something God has for years been teaching me more about. Upfront Game: Slurpin with Worms. Simple, fun upfront game. All you do is fill up some plates with whip cream and mix some gummy worms in. Bring a few contestants up and have them race to find and eat all the gummy worms. Only catch is they cannot use their hands. First one that finds and eats all their gummy worms wins. Click here to download the graphic we used for this game. Group Game: The Purge. I saw this game awhile back online and was pumped to play it with our group. The game is simple but crazy. You give every student a blown up balloon and the goal of the game is to be the last one standing with your balloon. You want to try and pop other peoples balloons. There are no rules except you cannot physical hurt someone else. We put a 20 minute countdown on the screen and threw a bucket of “supplies” out in the middle of the room. The bucket had plastic spoons, balls, and bandanas. It was a crazy game and students loved it! Click here to watch a video of a youth group playing this game. Also, click here to get the graphic we used for this game. Teaching: Finished our “Dealing with Sin” series by talking about making war with our sin. See details above under what we did at Porch. Click here to listen to the message from Edge. Highlight: Playing The Purge. It was such a crazy game and our student had a blast! We had a great nights this week in both our middle school and high school ministries. We changed things up a bit in our high school ministry and had a game night as well as started a new series. We started this same series in our middle school ministry this week. Below is a look at what we did this week. Game Night: We basically set up a bunch of round tables and had various board and table games for students to play. We also had a small Kan Jam tournament that some of the students took part in. We also provided free pizza and drinks. It was a great night of hanging out and building relationships. Teaching: Even though it was a game night, we still kicked off a new teaching series called “Dealing with Sin.” In this series we are talking about how Christians can deal with sin in their lives. For this first week we started by talking about confession. We looked at 1 John 1:9 and talked about what confession is and what it is not. We also talked about some other practical things in regards to confessing sin. Click here to listen to the whole talk. Highlight: Probably seeing students that normally don’t interact sit around a table laughing and having a good time as they played games together. That was the whole reason I wanted to do a game night. I wanted students to get to know each other better, have fun, and build community. Upfront Game: Tape Face. This has been going around the internet for awhile but the idea is simple, take scotch tape and wrap it around your face. What results is usually a very disturbing and funny looking face. I brought two pairs of students on stage and had them tape their partners face up with the goal of making the ugliest face. We gave them a two minute time limit. Group Game: Red Light Green Light. Classic game. We had students start on one side of the room and the goal was to touch the wall on the other side of the room and come back. I had a high school student lead this game. When they said “green light” students could run. When they said “red light” they must stop. If a student doesn’t stop or keeps moving when “red light” is called out has to start back over. They could also call “yellow light” which means crawl on hand and knees. Teaching: Same as our high school night above. Started the new series and talked about confession. Click here to listen to the whole talk from this night with middle school. Highlight: Seeing one of my high school leaders, Zach Bindus, on stage leading a game. He comes to Edge pretty often and helps out. He wants to be a youth pastor and it’s awesome seeing him already doing “youth ministry” as a high school student.